We've compiled a list of questions that should be asked before hiring a potential roofing contractor. 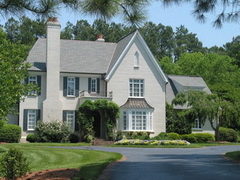 The truth is, Wonderlin Roofing can answer "Yes!" to every one of these questions while many other roofing contractors can not. Feel free to print the PDF here and find out why Wonderlin has the highest left of workmanship in the industry. Does the owner give out his personal cell phone number? Is the contractor on the BBB "Honor Roll List"? Is the contractor's State license clear of all complaints? Do they carry a 15 year workmanship guarantee? Do they install attic ventilation with each job? Does the owner oversee each job? Do they carry worker's compensation insurance? Do they use upgraded 30 lb underlayment felt? Do you work with one person through the entire job? Your Bay Area Roofing Specialist! Wonderlin Roofing Systems is located in Castro Valley, CA in the San Francisco Bay area. We are 100% committed to providing the best service possible for your roofing needs. We specialize in residential re-roofing and have been building quality roofs since 1992. With over 25 years in the roofing industry, Grover Wonderlin has been the driving force behind his family run business.